Benefit and I haven't really gotten along too well in the past. I tried to give her a chance but, me and the products just were not compatible. But, I may just have a change of heart and give Benefit another chance. The first step towards reconciliation is this lovely Benefit Bronzing Powder in Hoola ($28.00). First of all, I really think the sturdy, squared box packaging is pretty cute. Very different from your traditional compact ones. I like it even though I find that it is a tad bit bulky, and it takes up space in my makeup bag when I travel. 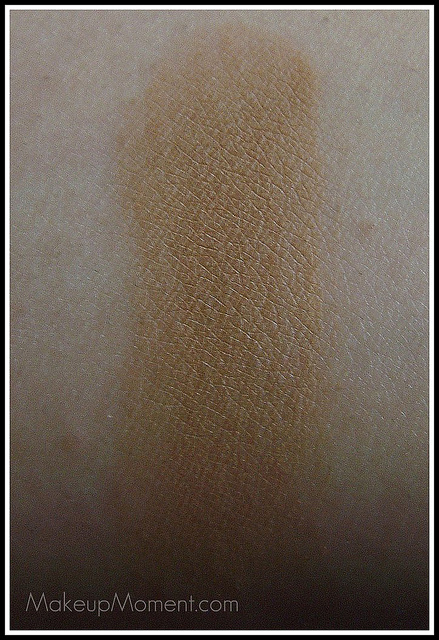 Hoola is a matte, brown/bronze color (with a hint of warm gold? 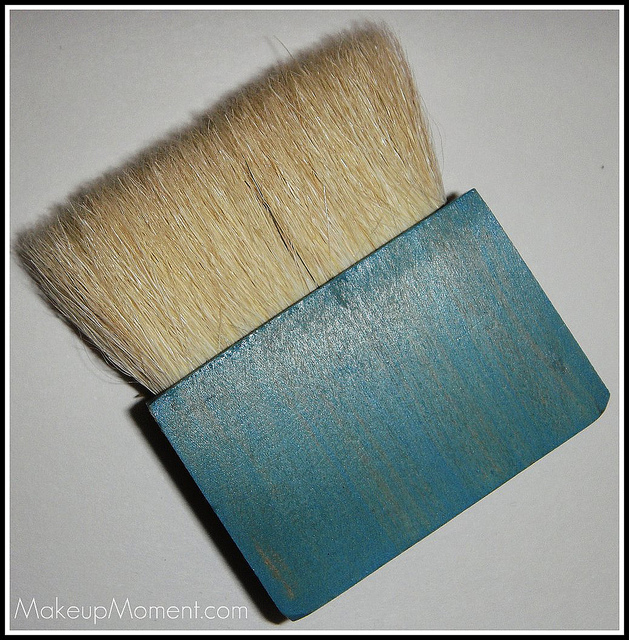 ), that fortunately when applied on the cheeks, does not transfer orange. 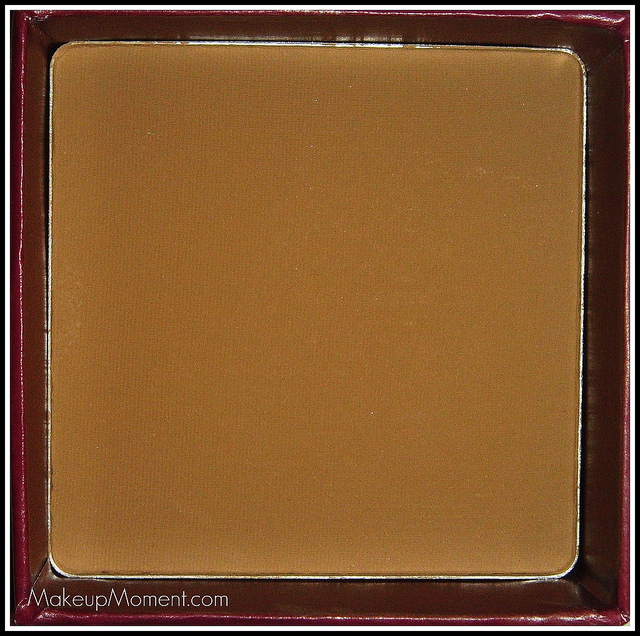 When it comes to bronzers, I look for ones that aren't going to give me a pumpkin face, and that glide on smoothly and look natural on my cheeks. Hoola does just that. I will admit, I was a bit worried about this bronzer not working for me. 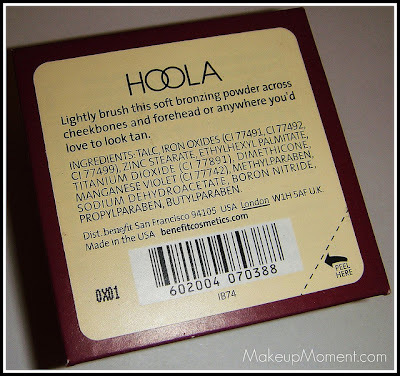 I have read on other sites that Hoola is not very easy to blend. Luckily, I did not experience this problem. I just take my blush brush, take a bit of the bronzer, and apply it on my cheekbones to contour, or to the apples of my cheeks when I want to warm them up a bit. Please note that a little goes a long way with this product. 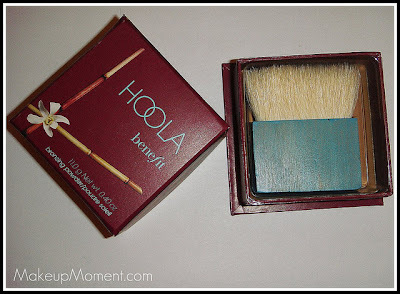 Hoola also comes with a cute brush to use when applying this product on the go. The brush hairs are soft and it's a very nice tool to have, but I prefer to apply this bronzer with my own blush brush. 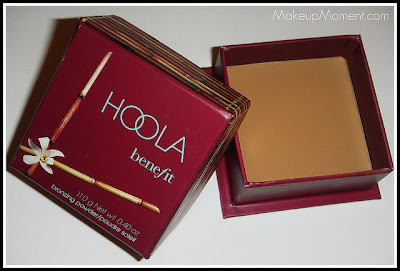 Overall, I do like this bronzer, and if you are a fan of matte bronzers instead of shimmered ones, then Hoola may be something you want to look into. 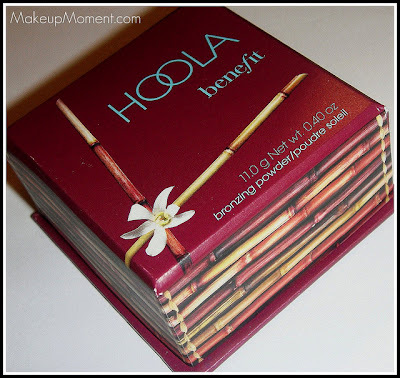 What do you all think of Hoola? Please share in the comments! I absolutely love this, I've never actually used it as a bronzer but use it every single day as a contour product. It's the best. I'm in need for a new bronzer... I've been afraid of the orange look but since you mentioned it does not end up orangey I may have to finally give it a try. Great review! Stay tuned girls because, I actually think I may have found my HG bronzer from Urban Decay. I even love it more than I do Hoola LOL! I will review it shortly.